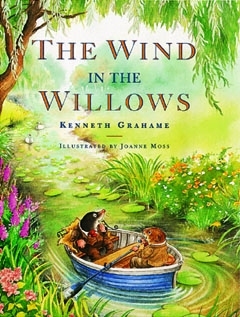 When Kenneth Grahame first entertained his son with letters about a petulant character named Toad, he had no way of knowing that his creation—together with his friends Mole, Rat, and Badger—would delight children for nearly 100 years. Here they are once more, pursuing adventure in gypsy caravans, stolen sportscars, and prison, but always returning to their beloved Wildwood. And although Grahame’s characters are unmistakably animals, they remain endearingly human in their eccentricity, folly, and friendship.